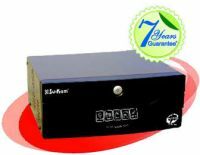 Shiny Sine Wave HUPS Jiyo life non-stop Shiny Sine-Wave UPS is a revolutionary new technology that will make you expect more from your power back up. It not only offers non-stop protection for all your valuable appliances, it does it so silently, that you’ll forget you have a UPS. Being a Sine Wave UPS, it offers non-stop protection for your appliances and more efficiency for reduced power consumption. And there's more. It is a super silent UPS with an automatic overload sensor and fuzzy logic that is designed to put your comfort first. The cool looks, of course, is a bonus. All this and more. Just to ensure that you live life without a pause. To Recieve updates and possible rewards for Sukam Shiny 250 VA please sign in. To Recieve updates and possible rewards for UPS & Inverter please sign in.